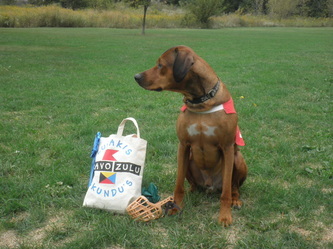 Where did Zulu's name come from? 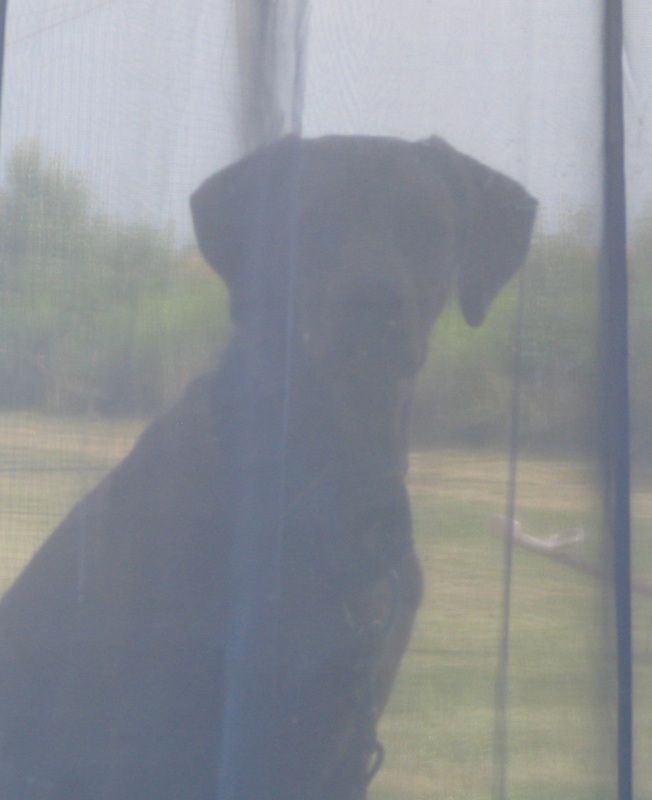 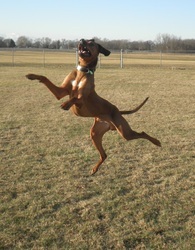 Zulu's name is a play on words. In the U.S. Navy, this is the current naval signal, conveyed by flaghoist or voice radio, meaning "job well done". Bravo is also Italian for "well done." So, Bravo Zulu is also "Well done, Zulu!" 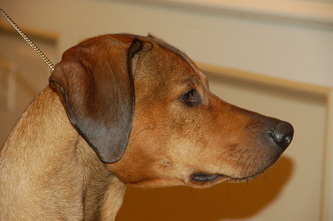 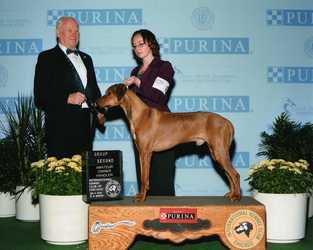 In addition, the Zulu are a tribe native to southern Africa, where the Rhodesian Ridgeback originated. 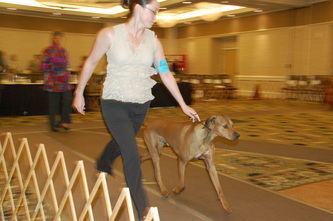 National Specialty Triathlon Judging. 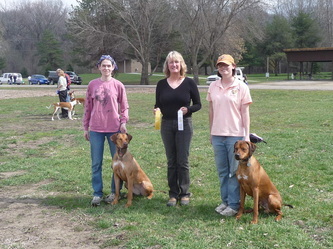 Lansing, MI 2009. 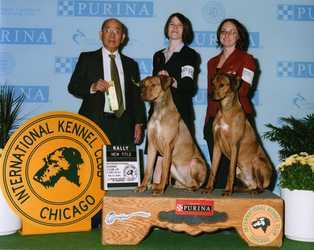 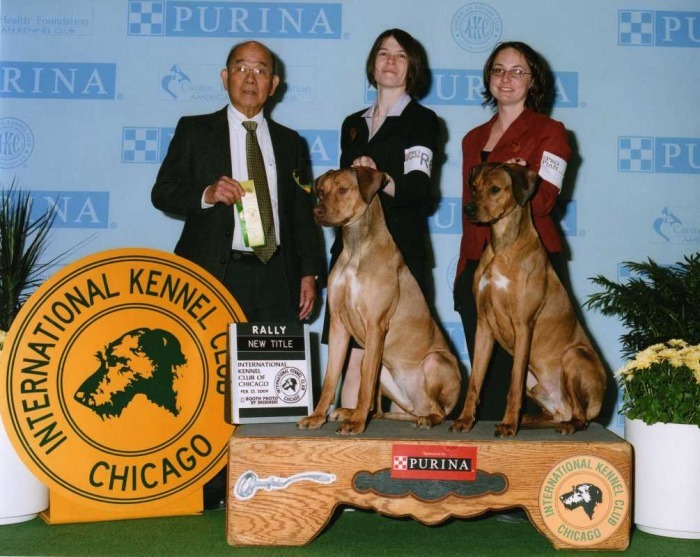 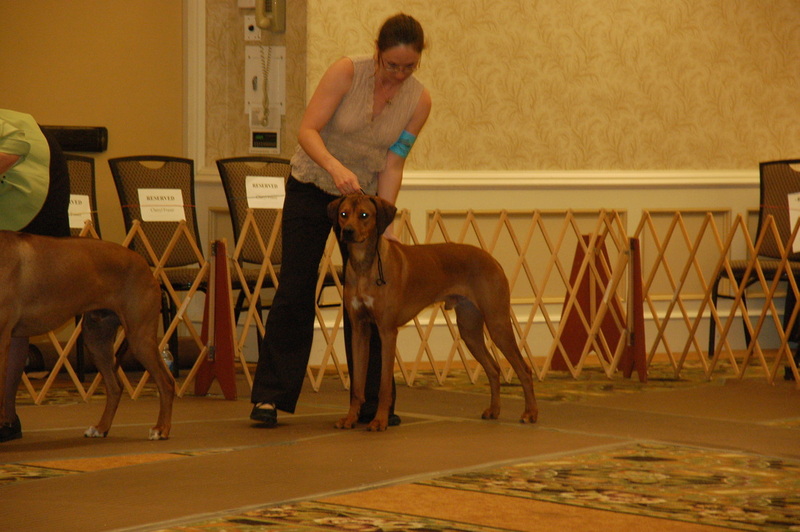 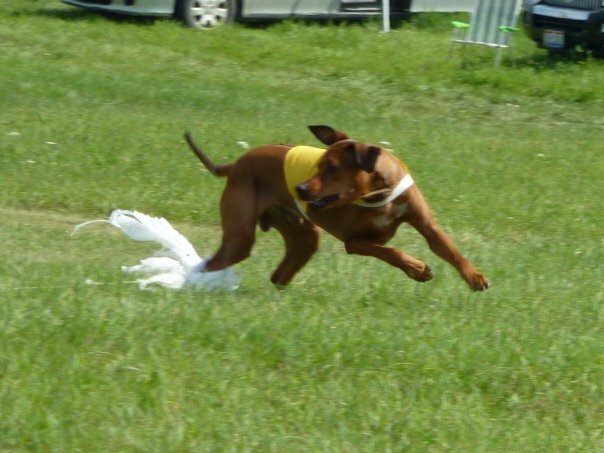 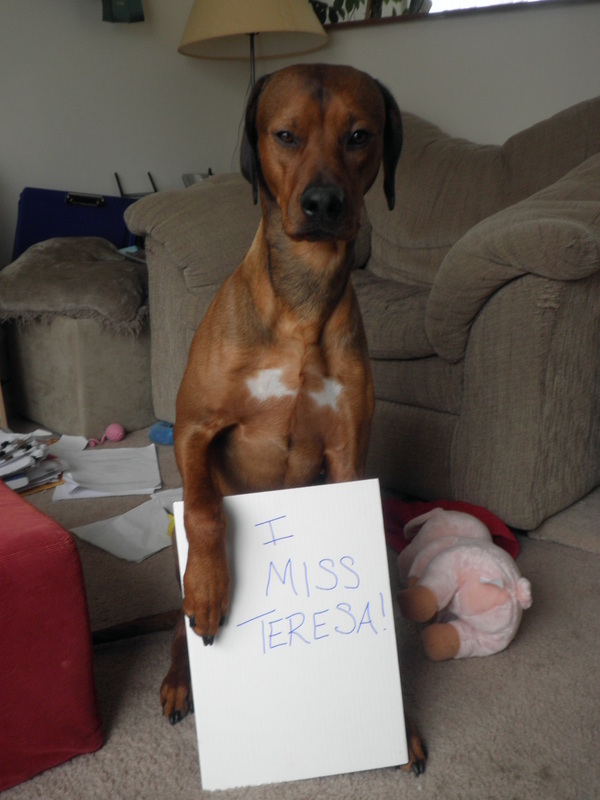 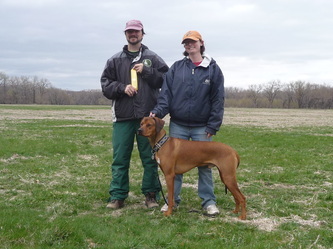 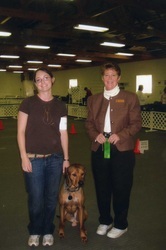 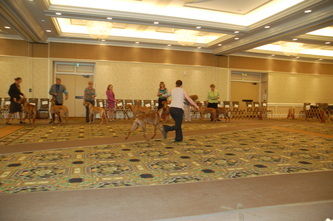 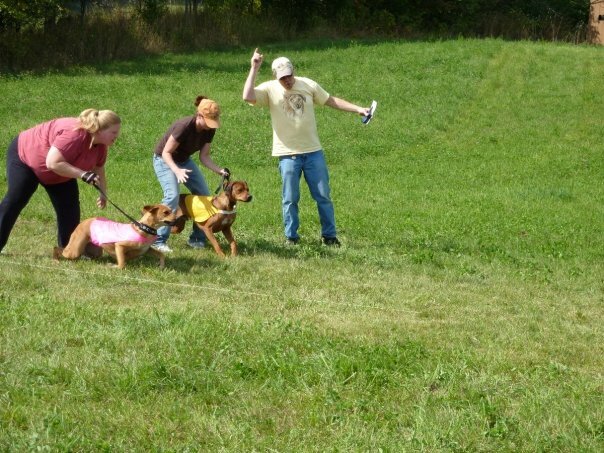 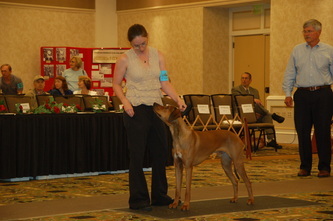 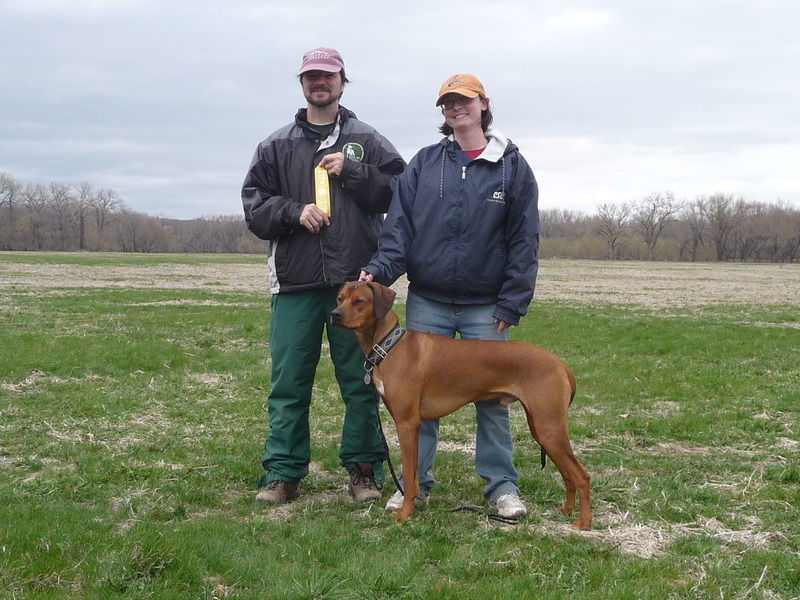 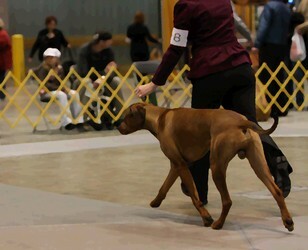 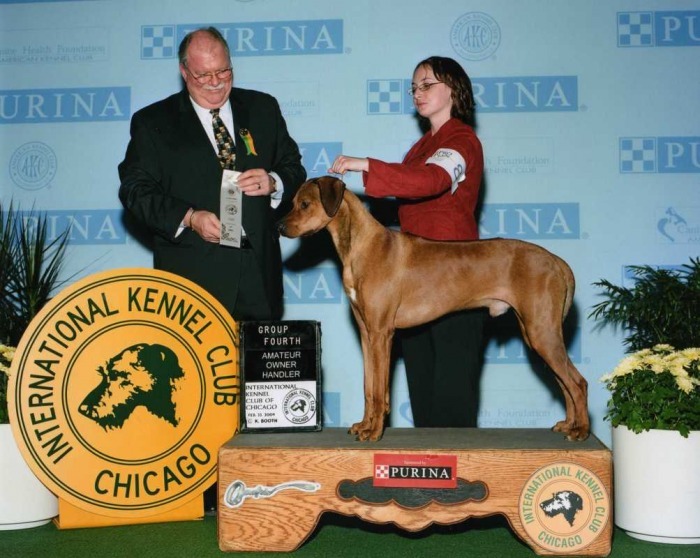 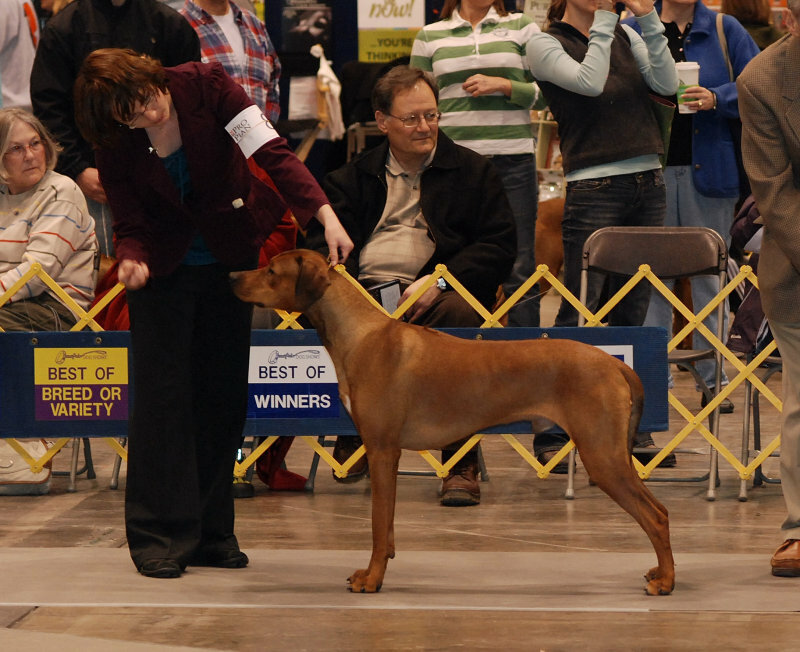 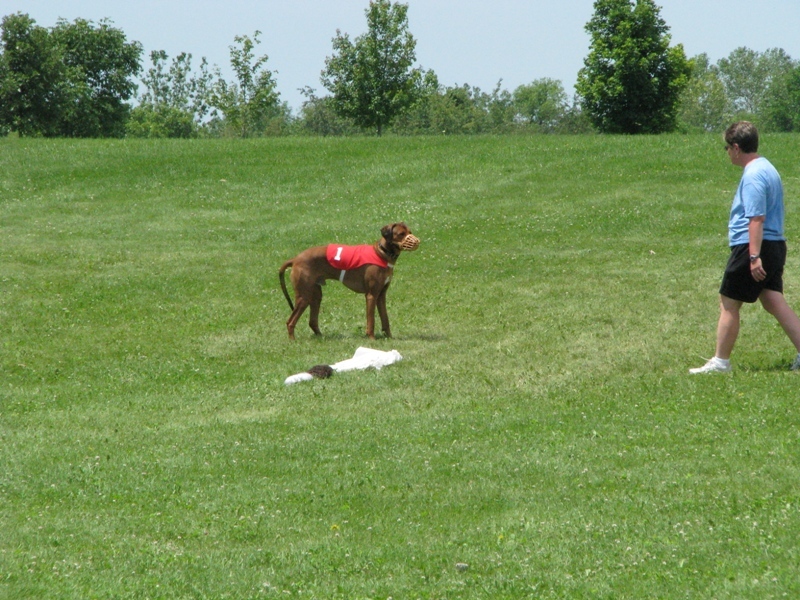 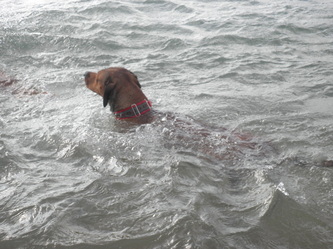 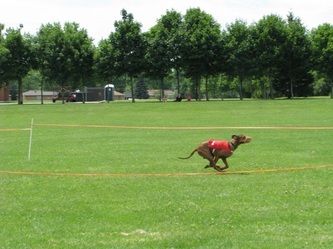 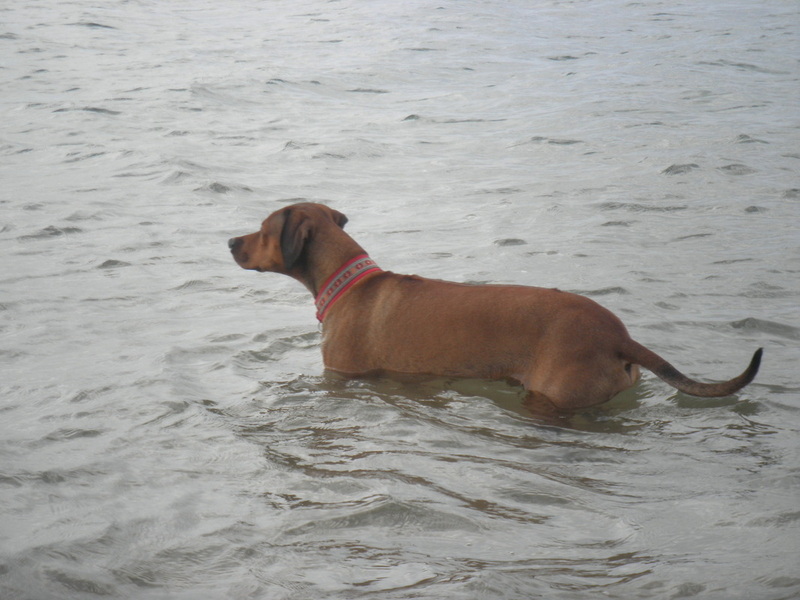 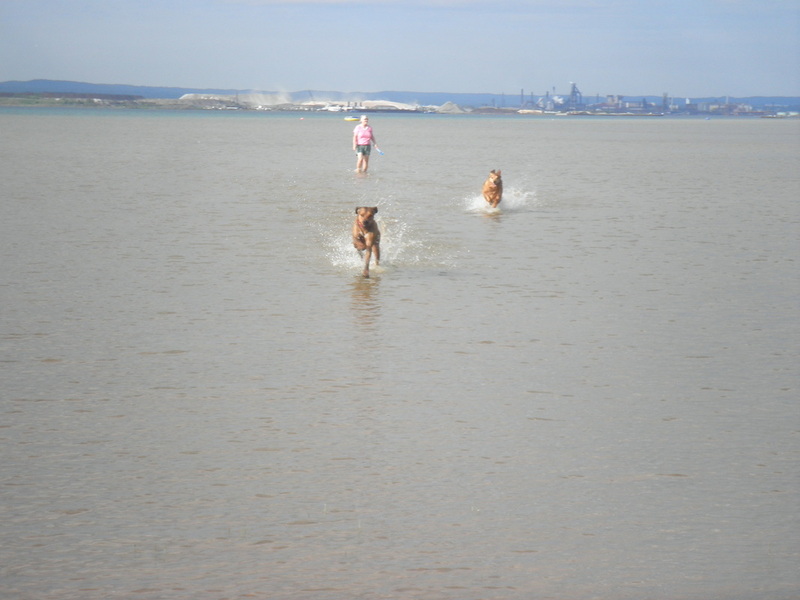 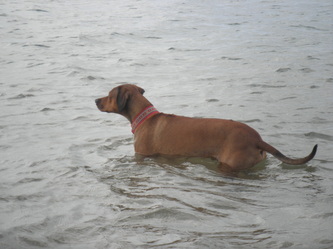 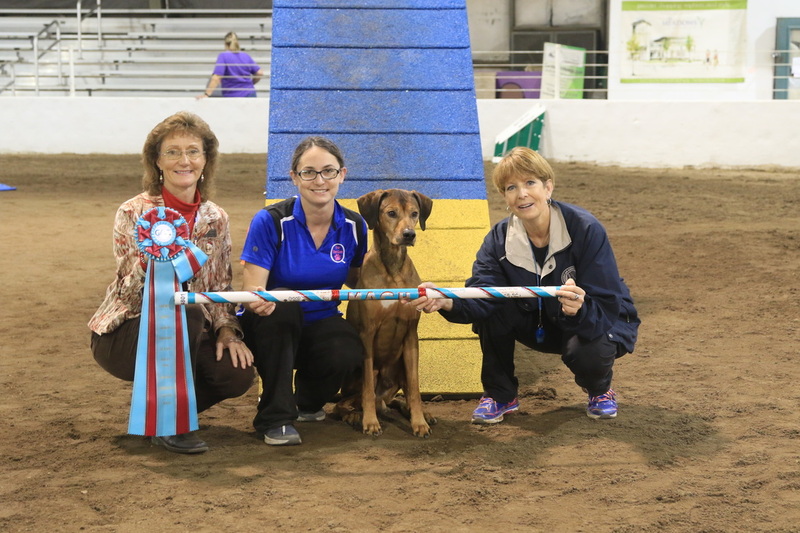 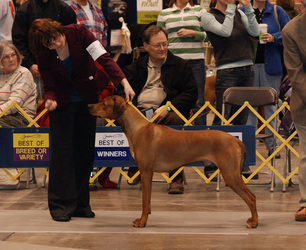 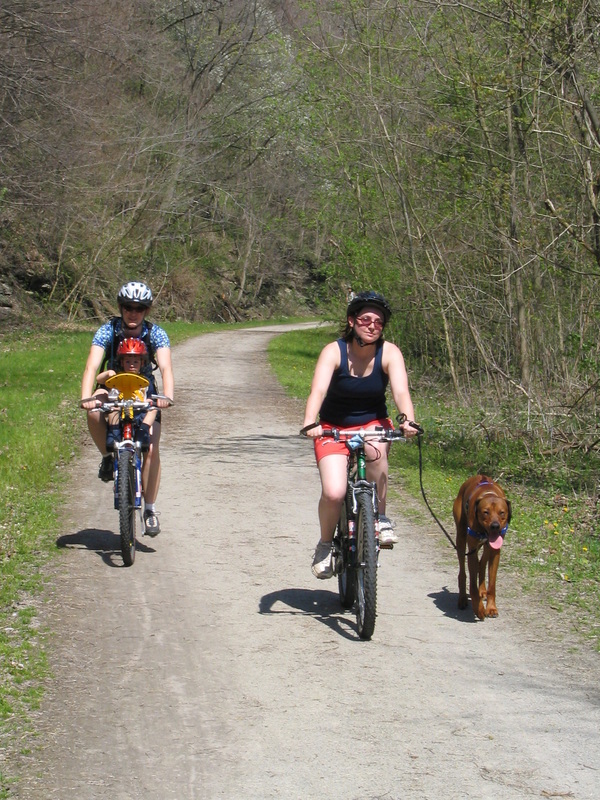 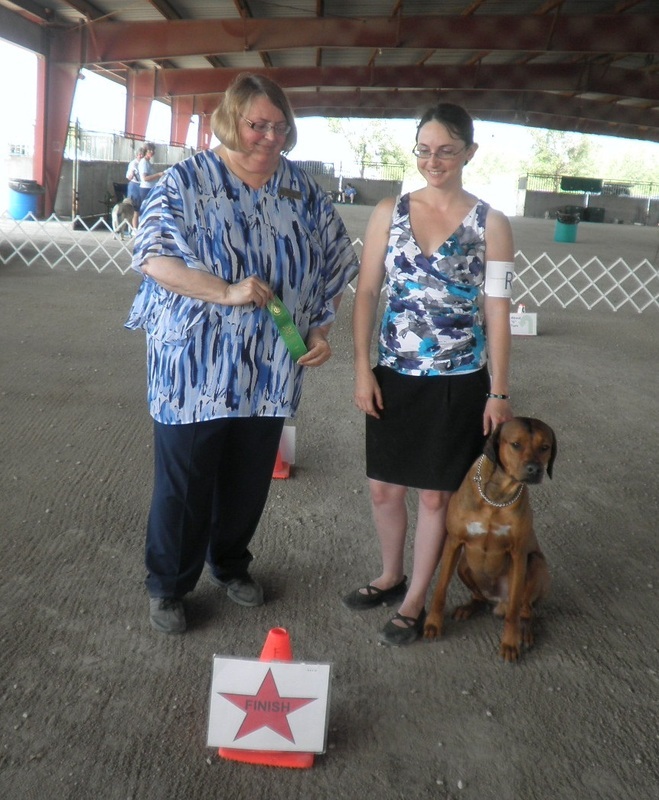 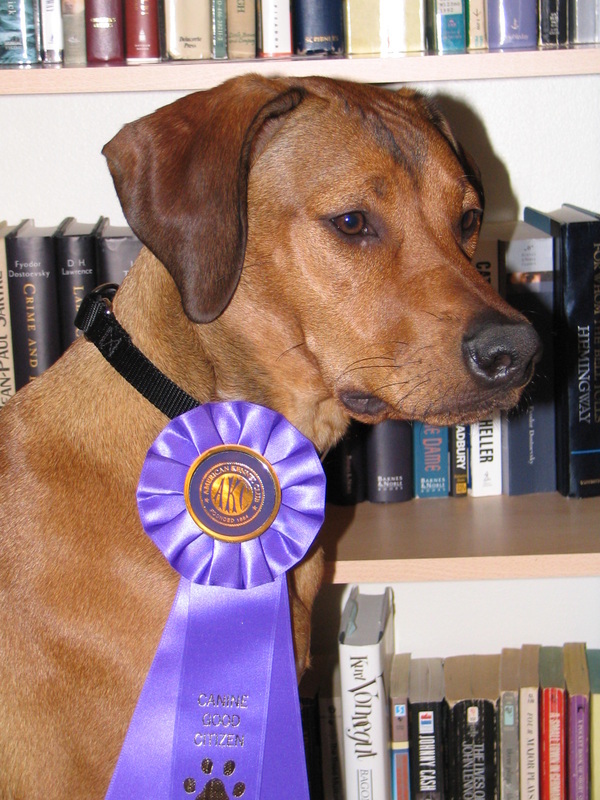 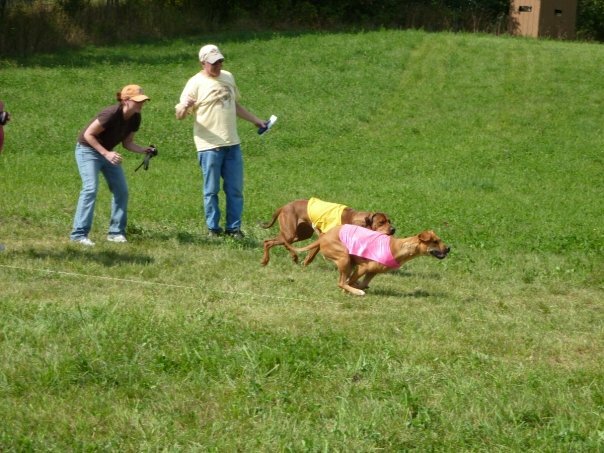 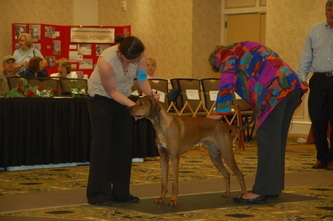 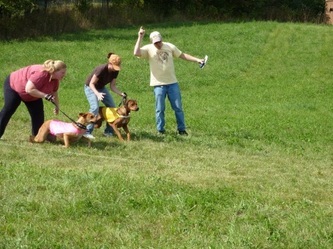 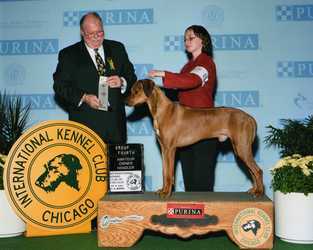 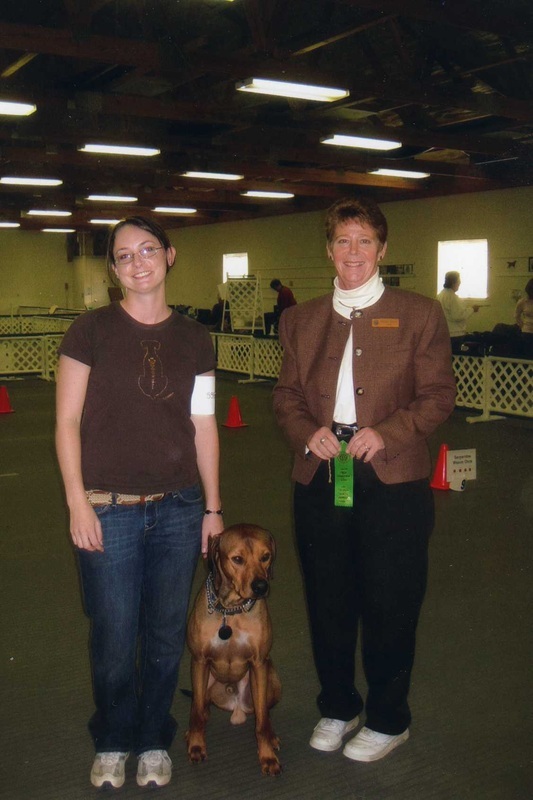 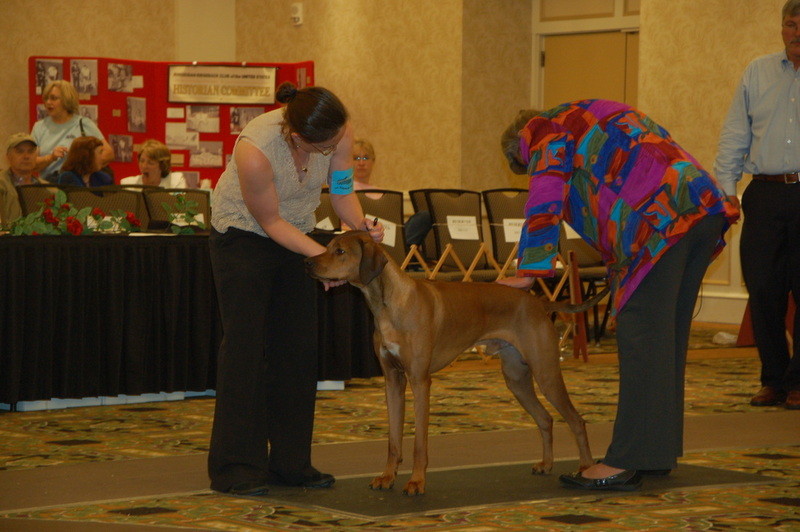 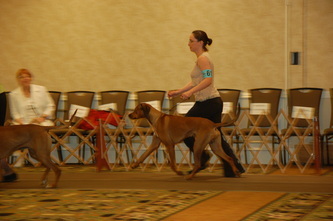 Raisin River Rhodesian Ridgeback Club of Michigan. 2009. 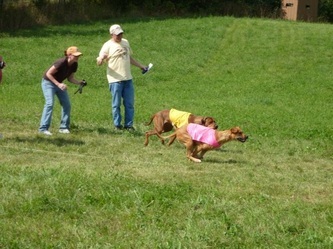 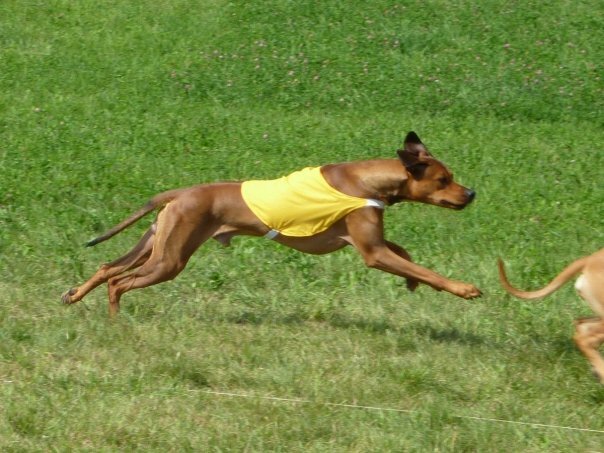 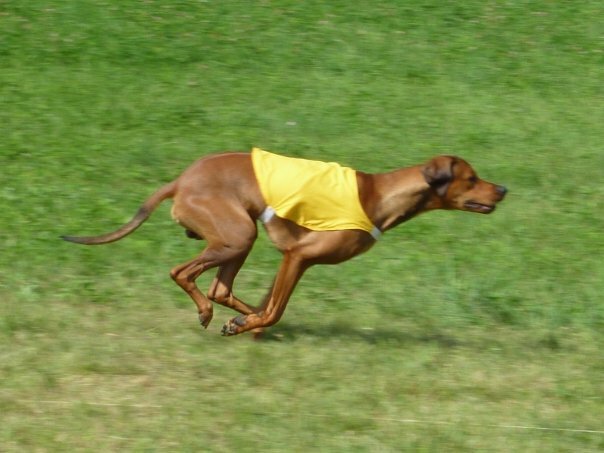 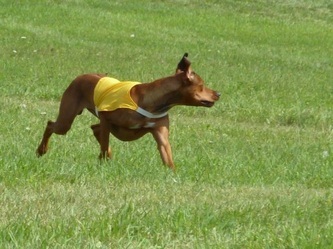 Coursing Hounds of Iowa. 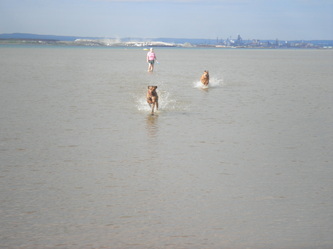 Spring 2009.